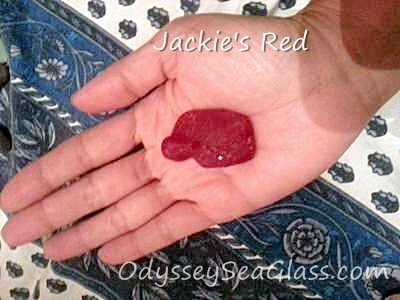 How Rare is Red Sea Glass? 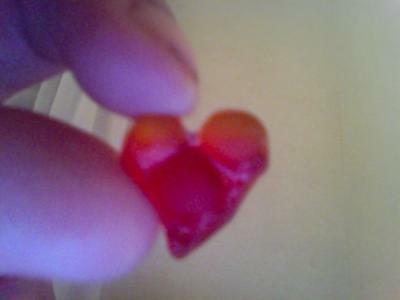 Where Can I Find It? 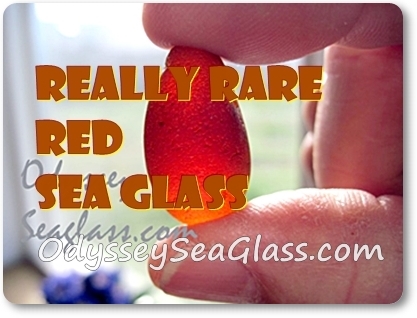 Find out why red beach glass is so desirable, why it is a unique beach gift, and what makes the glass red. 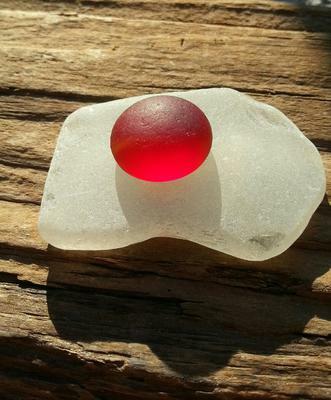 Even on a super glass beach, red is not common. 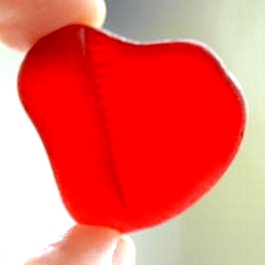 BUT - not impossible! 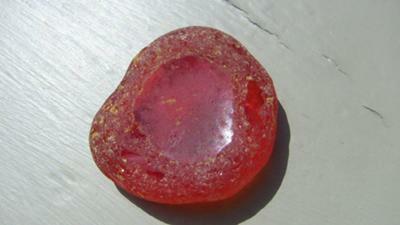 Red sea glass (beach glass) is rare mainly because a very limited amount of red glass was ever mass produced. 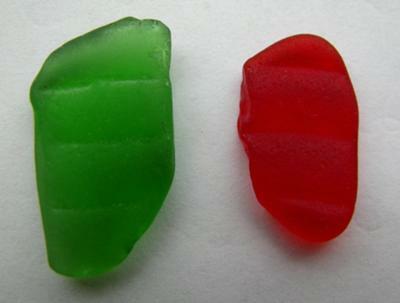 As a result, not much red is found in comparison to most other colors of beach finds and is comparatively quite rare sea glass. 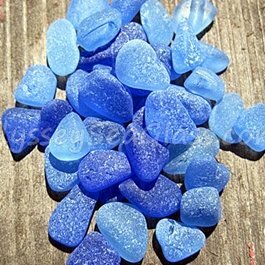 It follows that if you see someone selling sea glass - such as on eBay - containing a large number of red glass pieces, it is likely to be artificially-tumbled glass and not real beach glass. 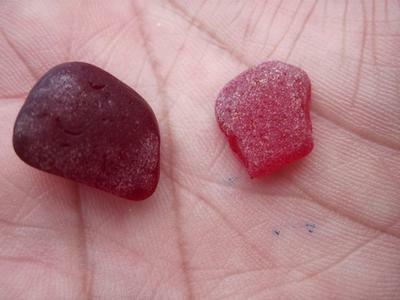 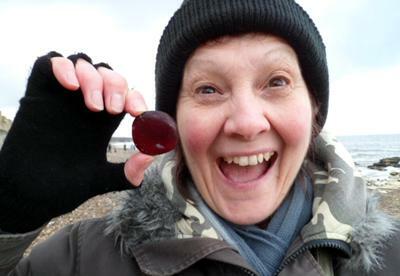 "I remember the first piece of red that I had a chance to actually see in someone's hands at the beach. 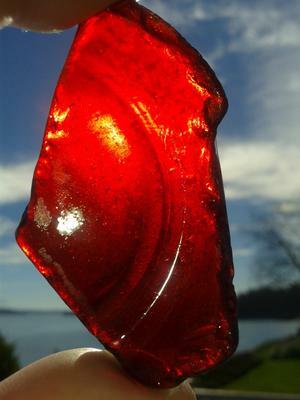 "It was a piece of very thick deep red, nicely-rounded glass found by a sea glass collector named Kelly on West Beach, Deception Pass State Park, one of the beaches we frequented back then. 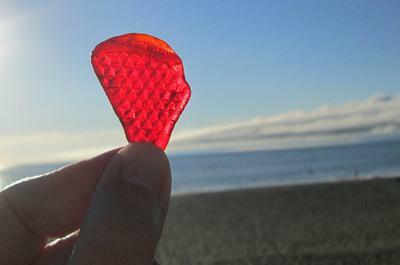 Here, friend Joey finds a nice piece at Moran Beach a little south of Deception Pass State Park mentioned above. 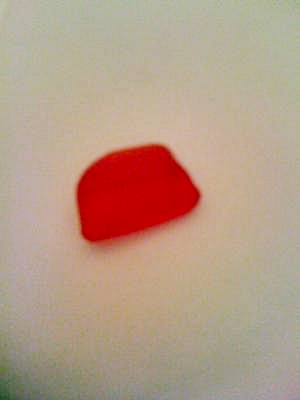 Pretty rare, especially if it is well tumbled. 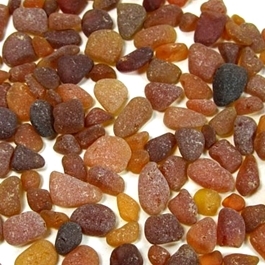 On the rarity chart, the only colors that are more rare are usually the true yellows and oranges. 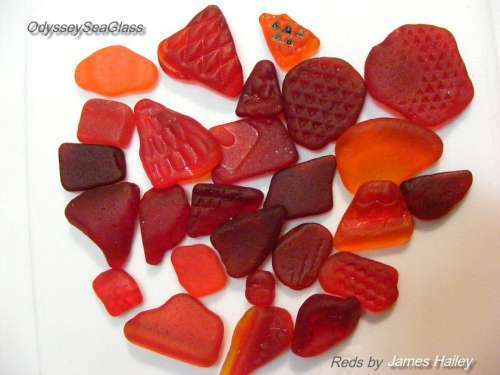 If you're fortunate enough to find red beach glass yourself, the rarity would also depend on how old it is and how tumbled, frosted, and worn it is. 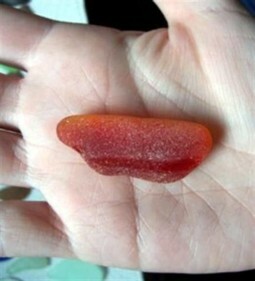 Naturally, it would seem that the more tumbled and frosted it is, the older it would be. 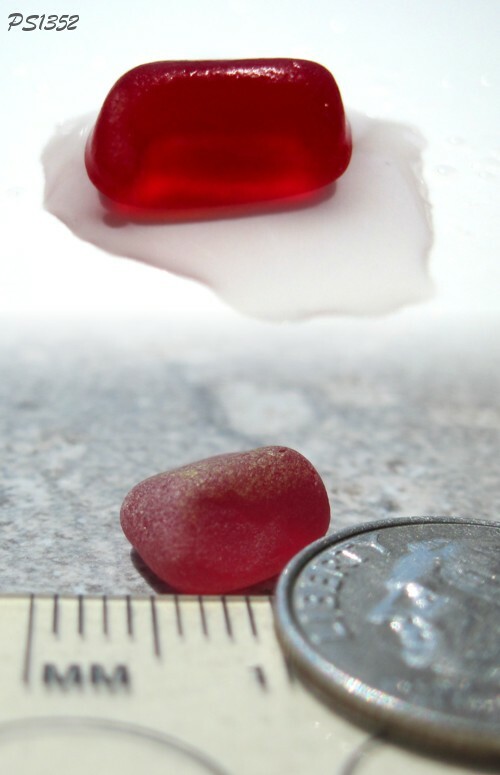 However, where there'sa lot of wave action, a newer piece of red sea glass will look more tumbled and frosted than a much older piece on a calm shoreline. 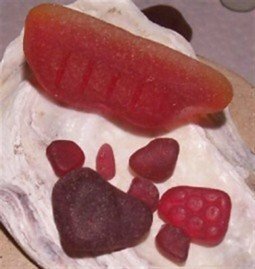 Here is a great selection of reds collected by James Hailey in the Monterey Bay area of California. 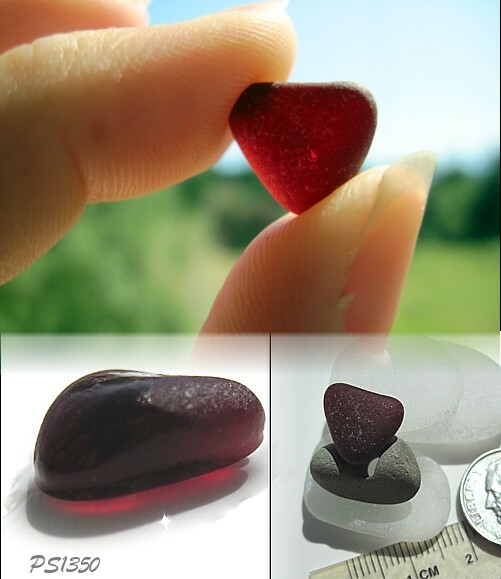 One of the distinctive large jewelry-quality pieces of red sea glass that we have is the nice crimson-to-red piece seen near the top of this page and also in the photo below. 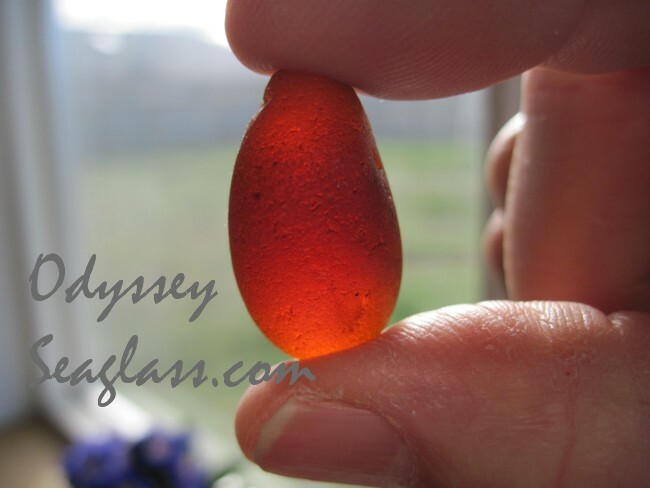 Because of the color gradation, this large piece of red-orange sea glass has the appearance of Amberina, a two-toned glassware that was originally made from 1883 to about 1900. 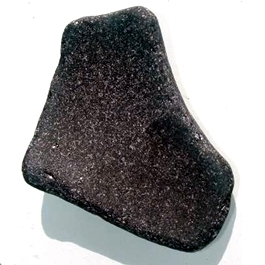 However, because of the thickness, our guess is that it was from a big old warning light off a ship. 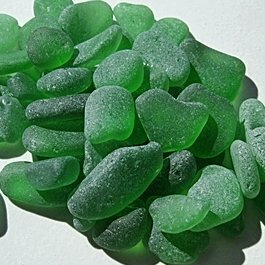 We obtained this beautiful real beach glass from a friend, Carla, on Whidbey Island here in the State of Washington, Northwest USA. 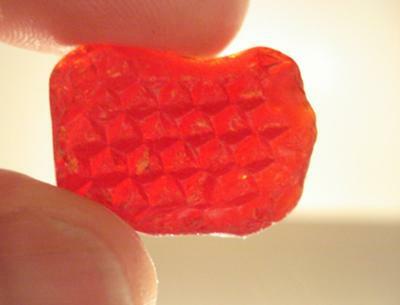 The smaller pieces are also from the same area. 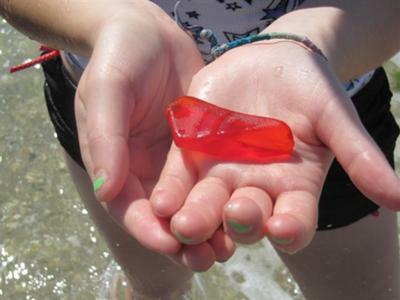 David found this large piece of red at North Beach County Park in Port Townsend, Washington. 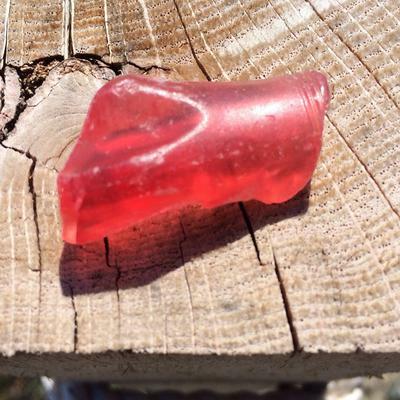 This beach is a favorite of sea glass collectors, dog walkers, and other beach lovers; yet David found this piece right in front of the parking area in the low tide strip of pebbles. 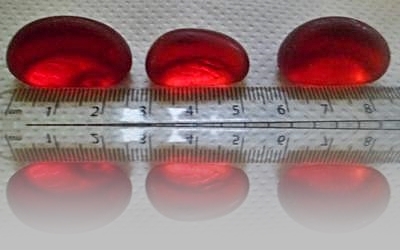 When you do find a red, it is likely to be small. 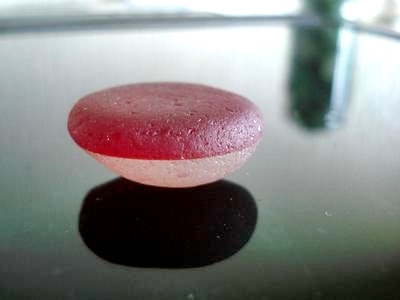 Whatever the size, we all get very excited to find one, like the small but exquisitely-formed red shown above. 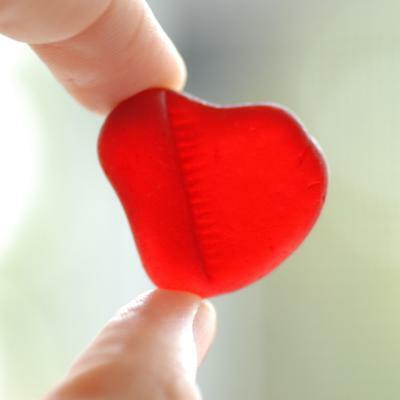 Years ago, they actually used gold in the making of red glass to achieve the various hues of red. 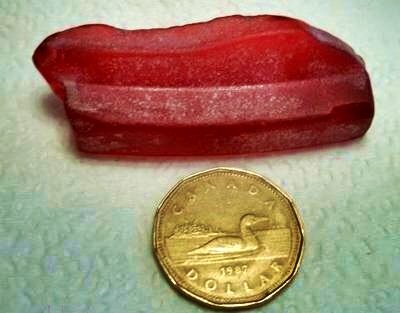 Different amounts of gold would give it a different hue of color. 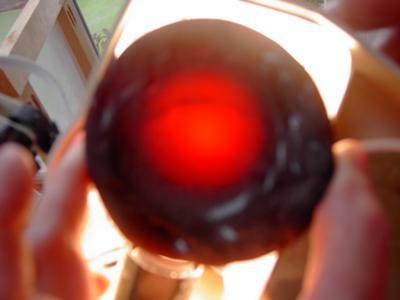 This was pretty expensive, so they tried using other metals like copper and other materials to achieve the color. 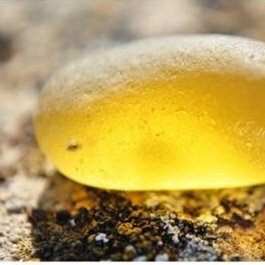 Modern methods use other metals because of the high price of gold. 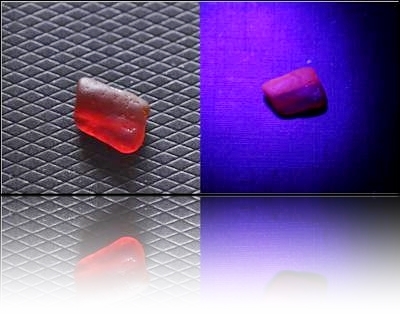 Red glass has been used in bottles, car brake lights, warning lights on boats, lanterns, lamps, stained glass, tableware and Depression glass. 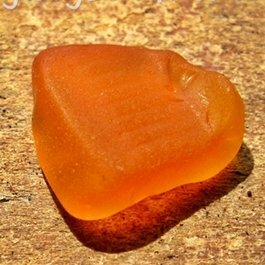 No doubt about it, sea glass collectors yearn to have red beach glass as part of their collections.